Guide price 325,000 - 350,000. 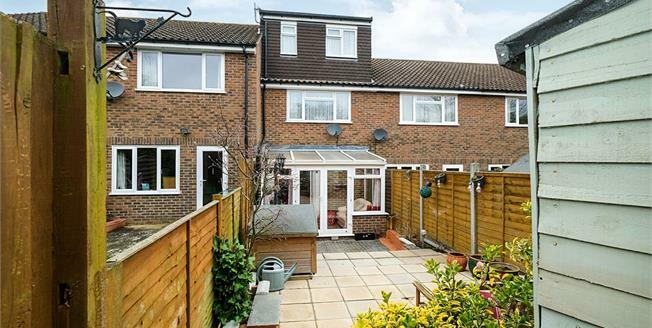 Freeman Forman are delighted to present this spacious and extended three bedroom property, with off road parking and a conservatory. The loft has been sympathetically converted so that it now offers an impressive master bedroom. The ground floor accommodation includes an entrance hall, sitting room/dining room and a conservatory. Stairs rise from the entrance hall to the first floor landing where two bedrooms can be found along with a bathroom and a staircase that leads to the second floor master bedroom. The property benefits from a gas central heating system and double glazing. Outside the property enjoys a paved patio area, gated access at the bottom of the garden, a shed and off road parking to the front. An internal viewing comes highly recommended.